Bestselling author on what the world’s greatest managers do differently. Excellence happens all the time in an organization, but it can be tricky to harness this excellence and make it work for you. So often, when companies try to reproduce what their best performers do differently, the result is just another lifeless policy that ends up constraining people instead of freeing them to do their best work. The trick is to help people put innovative ideas into practice without stifling the personal strengths that give them their edge. In this speech Marcus presents a customized best practice delivery system for both managers and employees. 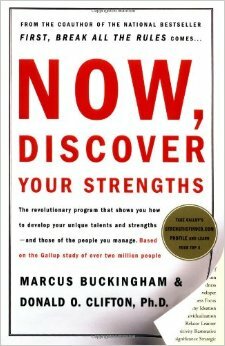 Using a simple, easy-to-remember scheme to identify each person’s unique combination of strengths, Marcus gives individuals tips and techniques on how to put their particular edge to use. And managers will get lots of raw material to be better coaches based on the specific strengths of their team members. At the end of the speech, you will know how to move beyond the one-size-fits-all approach and find those practices that are best for you. What sets great companies apart? Survey data gathered over decades’ worth of interviews with thousands of managers and workers around the world reveals one simple truth: there are no great companies. Every company is made up of separate teams, and the performance of those teams, no matter how successful the company may be, varies widely. What makes the difference? The manager. Managers play a significant role in creating an environment within which individuals can thrive, discover their talents and use their best selves daily. Great managers help people to identify and leverage their unique strengths. Buckingham will discuss the four key demands a manager must fulfill in order to provide the kind of environment that enables people to achieve peak performance on a regular basis: Select the right people for the right roles; Clarify expectations of the manager and of the employee; Engage team members by paying constant attention; and Accelerate performance by maximizing strengths and neutralizing weaknesses. In short, his presentation will address how great managers turn talents into performance. 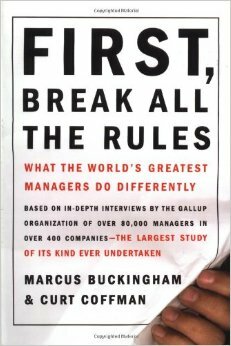 During Marcus Buckingham’s 17 years with the Gallup Organization, he helped to guide groundbreaking research on the world’s best leaders, managers and workplaces. This research was used as a basis for his best-selling books First, Break all the Rules and Now Discover Your Strengths. 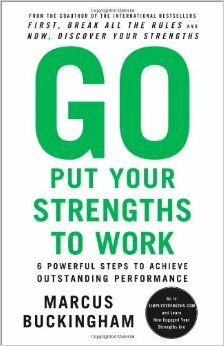 His subsequent best-selling book Go Put Your Strengths to Work forms the foundation for the “Strengths in the Workplace” keynote address. 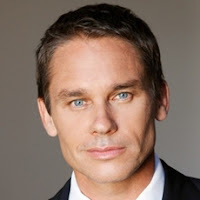 Marcus Buckingham will present key data from a number of different industries demonstrating the correlation between performance and engagement. He discusses the factors at play with engaged teams vs. disengaged teams and drills down to the specific lever that recent research indicates most impacts engagement: the extent to which employees have the opportunity to play to their strengths. When employees have the opportunity to apply their greatest strengths at work, they turbocharge their careers and everybody wins. Companies find their employees are more productive and their teams are more effective. Despite this, research shows a majority of people do not fully use their strengths at work. Buckingham will examine current corporate levels of engaging the strengths of employees and look at the psychological and practical obstacles that can get in the way of creating a strengths-based organization. Throughout his presentation, he will offer a number of different strategies to support people in leveraging the best of themselves and others in the workplace. 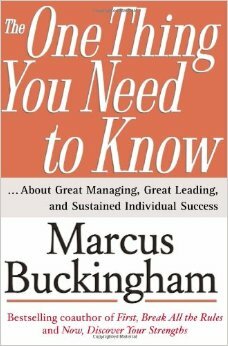 The many facets of great managing and great leading could be detailed endlessly, but Marcus Buckingham draws on a wealth of examples to uncover the single controlling insight that lies at the heart of each. Lose sight of this “one thing” and even your best efforts will be diminished or compromised. Success comes to those who remain mindful of the core insight, understand all of its ramifications, and orient their decisions around it. 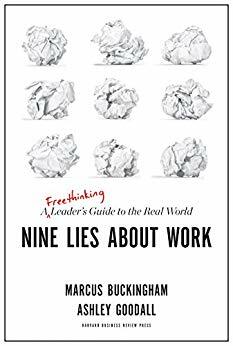 Buckingham backs his arguments with authoritative research from a wide variety of sources, including his own data and in-depth interviews with individuals at every level of an organization, from CEOs to hotel maids and stock boys. He cuts through the thicket of often-conflicting possibilities and zeroes in on what matters most, revealing the surprisingly different keys to great managing and great leading. In the four decades since the beginning of the modern women’s movement, women have secured greater opportunity, greater influence, greater independence, more free time, and more money. Despite all those important gains, however, recent longitudinal research indicates that women have become more unhappy, anxious and stressed during that same time period, and that they get sadder as they get older (while men, in contrast, get happier as they age). Marcus Buckingham will explore the data behind the startling findings on women’s happiness and discuss the lessons to be learned from happy, successful women who buck the statistical trends. A former senior consultant for the Gallup Organization, Marcus Buckingham has spent a decade helping clients find and motivate their most talented employees. His work is supported by the largest study of its kind—nearly 80,000 interviews. The results reveal practices that oppose conventional wisdom when it comes to successful managerial behavior. They also break new ground in helping people understand their fundamental talents. Buckingham inspires audiences to think outside of established boundaries to rethink traditional organizational structures that can transform the lives of employees—and the life of the business. Buckingham is co-author of enormous business best sellers: First, Break All the Rules: What the World’s Greatest Managers Do Differently and Now, Discover Your Strengths and author of The Truth About You: Your Secret to Success and Go Put Your Strengths to Work: Six Powerful Steps to Achieve Outstanding Performance. In Find Your Strongest Life: What the Happiest and Most Successful Women Do Differently (September 2009), Buckingham reveals the powerful key to bring fulfillment, peace and control into a woman's life. 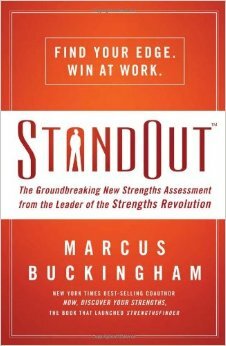 His latest book is StandOut: The Groundbreaking New Strengths Assessment from the Leader of the Strengths Revolution (September 2011).